Idaho neon underglow usage is governed by the state's Code. All relevant laws, rules and regulations pertaining to vehicle lighting including car underglow in Idaho have been provided below. Make sure to examine the regulations carefully and do not use any restricted lights. Usage of neon underglow lighting is governed by Idaho Statutes, Title 49: Motor Vehicles, Chapter 9: Vehicle Equipment. Is neon underglow legal in Idaho? Make sure to always avoid blue underglow, as these colors is reserved for police vehicles. Red color must not be visible from the front of your car. Only permissible flashing light color is amber, which may only be used during emergencies. A practical eample is the city of Idaho Falls which allows neon lights on cars with certain restrictions: in Idaho Falls you can only have white or amber lights on the front part of the vehicle, and red and amber to the rear (with white license plate illumination). Lights however must be only under the vehicle chassis and must not illuminate the ground outside your vehicle dimensions. We consider this information relevant for the entire Idaho state, despite state laws not specifically prohibiting other undercarriage light colors. So to remain fully within the law we do not recommend using any street glow colors except for: white or amber on the front and front sides, and red or amber in the back and back sides of your car. There are no relevant ID laws which specifically restrict or prohibit installing car underglow, meaning we consider it legal to use it while driving. Below are all relevant excerpts from Idaho Vehicle Code that limit, restrict or allow certain aftermarket lights to be installed on vehicles. (1) It shall be unlawful for any person to drive, or move, or for the owner to cause or knowingly permit to be driven or moved on any highway any vehicle or combination of vehicles which is in an unsafe condition as to endanger any person, or which does not contain those parts or is not at all times equipped with the lamps and other requirements in proper condition and adjustment, as required by the provisions of this chapter, or which is equipped in any manner in violation of the provisions of this chapter. (2) Nothing contained in the provisions of this chapter shall be construed to prohibit the use of additional parts and accessories on any vehicle not inconsistent with the provisions of this chapter. [...] (2) No person shall drive or move any vehicle or equipment upon any highway with any lamp or device displaying a red light visible from directly in front of the center of the vehicle or equipment. This section shall not apply to any vehicle upon which a red light visible from the front is expressly authorized or required by this title. [...] (4) Flashing lights are prohibited except on an authorized emergency vehicle, school bus, snow removal equipment, or on any vehicle as a means for indicating a right or left turn, or the presence of a vehicular traffic hazard requiring unusual care in approaching, overtaking or passing. [...] (1) Police vehicles. Only police vehicles shall display blue lights, lenses or globes. (2) Designated emergency vehicles. [...] other emergency vehicles designated by the director of the Idaho state police may display red flashing lights or red lenses or globes which are visible from the front of the vehicle. (3) All vehicles. Any motor vehicle may have attached to it a flashing amber light to warn motorists of a vehicular traffic hazard requiring the exercise of unusual care in approaching, overtaking or passing the vehicle displaying such lighting. The driver of an approaching vehicle shall yield the right-of-way to any stationary vehicle displaying a flashing amber light. 49-910. COLOR OF CLEARANCE LAMPS, SIDE MARKER LAMPS, AND REFLECTORS. (1) Front clearance lamps and marker lamps and reflectors mounted on the front or on the side near the front of a vehicle shall display or reflect an amber color. (2) Rear clearance lamps and marker lamps and reflectors mounted on the rear or on the sides near the rear of a vehicle shall display or reflect a red color. (3) All lighting devices and reflectors mounted on the rear of any vehicle shall display or reflect a red color, except the stoplight or other signal device, which may be red, amber, or yellow, and except that the light illuminating the license plate shall be white and the light emitted by a back-up lamp may be white, amber, or red. (1) Any motor vehicle may be equipped with not more than two (2) side cowl or fender lamps which shall emit an amber or white light without glare. (2) Any motor vehicle may be equipped with not more than one (1) running-board courtesy lamp on each side which shall emit a white or amber light without glare. (3) Any motor vehicle may be equipped with not more than two (2) back-up lamps either separately or in combination with other lamps, but any back-up lamp shall not be lighted when the motor vehicle is in forward motion. (4) Any vehicle may be equipped with lamps which may be used for the purpose of warning the operators of other vehicles of the presence of a vehicular traffic hazard [...] and shall display simultaneously flashing white or amber lights, or any shade or color between white and amber. Our information about car neon underglow laws in Idaho was last updated in 2018 and checked in 2019. In case any info we provided is not up to date or correct be sure to contact us so we can revise it. Thank you! Check our data with your local law enforcement or other relevant agencies! Idaho underglow laws in certain cities or counties may be different from state legislation. While we do our very best to provide the most accurate information about LED and neon street glow usage we will not be held liable for any potentially incorrect or misinterpreted info. Idaho is a state in the northwestern region of the United States. Idaho is the 14th largest, the 39th most populous, and the 7th least densely populated of the 50 United States. The state's largest city and capital is Boise. 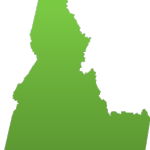 Idaho is a mountainous state with an area larger than that of all of New England. It is landlocked, surrounded by the states of Washington, Oregon, Nevada, Utah, Wyoming, Montana and the Canadian province of British Columbia. However, the network of dams and locks on the Columbia River and Snake River make the city of Lewiston the farthest inland seaport on the Pacific coast of the contiguous United States. Have questions about traffic or neon glow laws in Idaho?